I think this is the best smartphone ever, after S3 previous version had huge volume of sales, it was sold in over 40 million units in less than 7 months. This new model available now on sale at all major U.S. carriers and retailers has innovative features and better specs and it will probably strengthen its position as a leader in this field. Any review for this amazing smartphone is difficult, because it has so many features, that you can not describe entirely, especially because some of them are for the first time on a smartphone while others are much improved compared with their previous versions. After I played a few days with this amazing device, I have concluded that it is not only a very powerful smartphone, but my favorite Android smartphone of all. 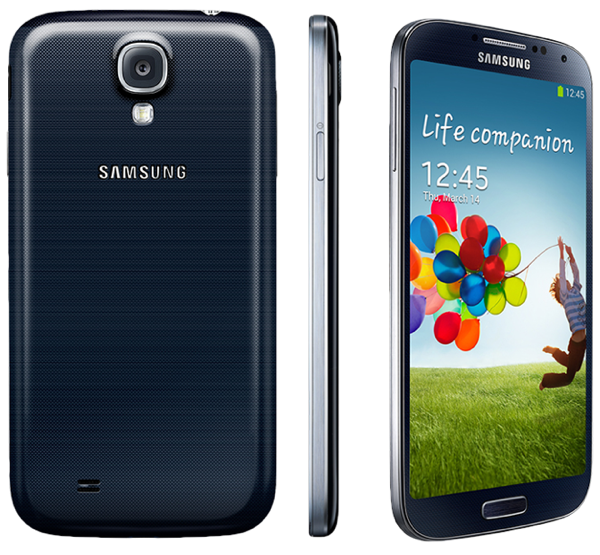 It has the same size as the S3, but with larger screen, the design is mostly similar, S4 is a bit more refined than its previous version. Although the case has remained from plastic, its touch feels like premium quality materials. The screen is now bigger, it has almost 5 inches, unlike the previous version of 4.7 inches, although only difference with the naked eye can not be observed so easyly, but I really like the feeling of having such a bigger screen on a smartphone. The display is amazing, a full HD AMOLED 1920x1080, due to which colors are bright, clear and deep. For those who believe that a smaller device is easier to handle or deposit in your pocket, this smartphone is the evidence that a largescreen device is much better and more useful. Galaxy S4 is sold in two versions: one for the U.S. having 1.9 Ghz processor, a quad core Snapdragon 600 and another version for the other parts of the world with a 1.7 GHz processor, an octa core Exynos 5, which means that it is a bit faster than Snapdragon 600. It obtained a total of 3259 points on Geekbench test score, this is higher than 1343 points obtained in 2012 by the previous S3. The huge score represents the fact that this new model has higher processing power and better graphics. Beyond the technical scores obtained at different tests, more important is how the smartphone works effectively. Thus, the only application that has loaded a bit harder was Samsung Hub, while all other features, applications, graphical details or webpages were loaded and functioned at a very high speed. After saying that a picture is worth a thousand words, I describe some of its special and unique features for the camera: 13 MP rear camera and 2MP front camera, friendly and intuitive user interface, updated software with more features. Swiching between video and photo mode is very easy and you can choose between several pre-defined options, for example between the side by side mode, postage stamp, etc.. These special features are very useful and successfully replace options that are found in professional camcorders or video cameras, for example, this feature could be used to record someone's voice and wipe another person from a record. 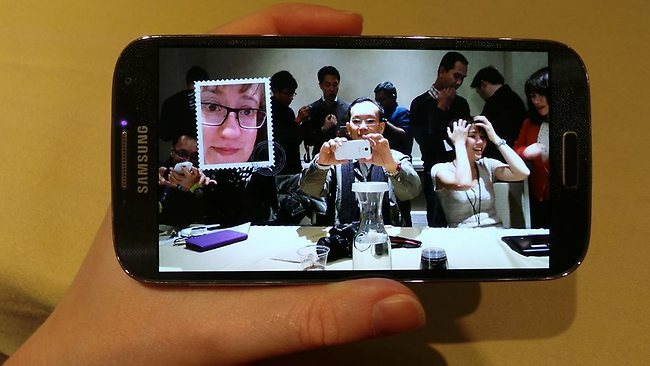 Also remember that using the camera for video calls are possible with S4 at a high quality, due to its great performance. Here are some of its special features: best photo that gives you the opportunity to choose from a list of multiple photos, so Photoshop is not useful anymore because you will be able to choose and to obtain the most beautiful photos. Here are some other amazing features of the camera with a brief description of how they work: sound and shot offers the possibility to record on a photo up to 9 seconds of voice, just imagine the excitement you will manage to surprise when you shoot a loved one with her voice or with a message on it, I personally find this feature very useful. Drama feature is very suitable for shooting moving objects and capture all the intermediate stages of the movement, as they were shoted with long and repetated exposures. Animation shot is already a cinema feature that will help you make animations for certain portions of the materials and the result will be a GIF format. The Shot Eraser can erase unwanted elements from a photo directly from the camera and the live preview filters the effects you want to apply for your photos just before saving these changes permanently. These extraspecial camera features are very useful and easy to use. 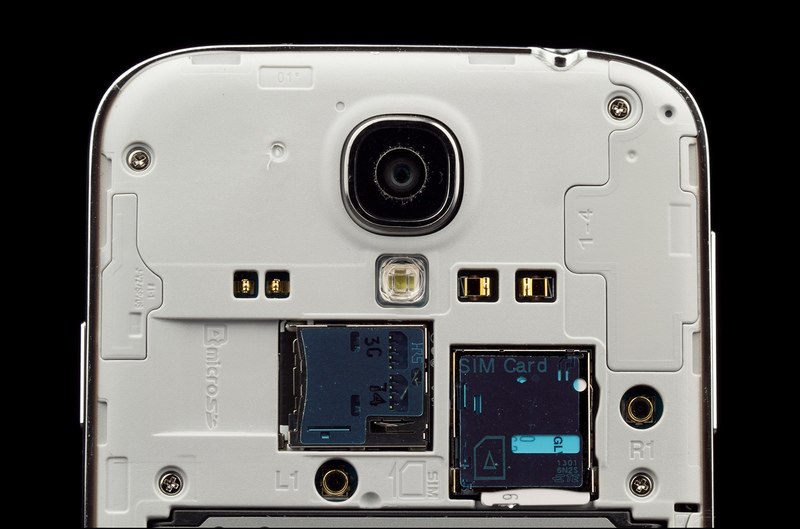 Other special features are given by numerous sensors that this device has. The best known is air view, it is actually the equivalent of S Pen from Samsung Galaxy Note 8 specifically, if you move your fingers over the screen you will see a preview content of that folder or application, which is a very useful feature for email account for browser for dialer for photo gallery, etc.. How does this feature actually works? The principle of functioning for the air view is based on a very sensitive sensor that reacts without the need of touching the screen to launch certain commands. 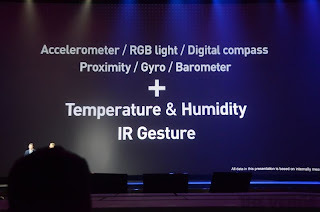 Another innovative feature based on a very strong and very sensitive sensors is Air Gesture, it works due to a very sensitive sensor located at the top of the device that detects motion of the buyer's fingers or his hand movements. Using this feature you can open different tabs from the menu, you can access various applications or you can answer a call even while you are continuing to browse the internet. This feature is very useful when you have to answer the phone and you can not touch the screen, otherwise it is also my favorite. Next I want to say something about smart pause and smart scroll, which works by deciphering and monitoring facial movements or the position in which the wrist is, so the two features will run pause or scroll page up or down, depending on the activity or inactivity detected at the buyer. These two have the advantage that greatly help in saving the life of the battery, so that, for example, a movie is interrupted when the smartphone detects that the buyers do not follow the display. Another interesting feature: it can turn, depending on the situation, into a similar device to a remote control to operate other devices, so it turn as a universal remote control device. The great advantage of this feature is the fact that it also works for other producing companies with similar products and is not restricted for the use of Samsung's products only, the smartphone can be used to control Panasonic TVs, Sony or other similar brands, leading to a very wide applicability. In the mode watch on is a pleasure to watch your favorite programs, with many handy interesting settings. More, the smartphone can be turned into a device that receives various notifications, so you can still talk on the phone or you can continue to browse the internet and also change the channel and adjust the volume of the TV. 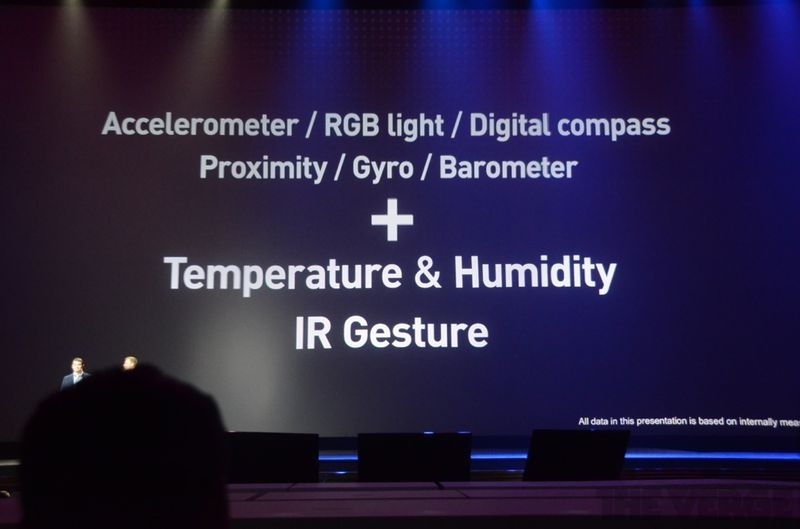 Besides all these features, do not forget the device's unique design that really impresses. For those who have TVs from Samsung, I have good news: you can transfer directly from the TV video materials to you personal smartphone. Its time performance and LTE Speeds are very high and its very long battery life impresses, it is much better than last year's model S3, Galaxy S4 is equipped with a 2600 mAh battery that powers a large screen, but also all the components fitted to the latest generation. Besides the fact that the battery is high-performance and economical, this amazing smartphone is going into battery saving mode when is not in use, such as overnight it does not download at all, very well preserving its battery. The applications are also energy consuming and the 2 GB of RAM also, so its powerful processor that needs energy to function within normal parameters. Weaker signal areas, however, are still the enemy for battery life, however, even in these circumstances, Samsung guarantees that the battery will last at least 8 hours in normal use and about 6 hours if the applications runed are more complex or if the buyer uses to play games on smartphones daily. Considering only the large screen that it has its quality, battery life is fair. 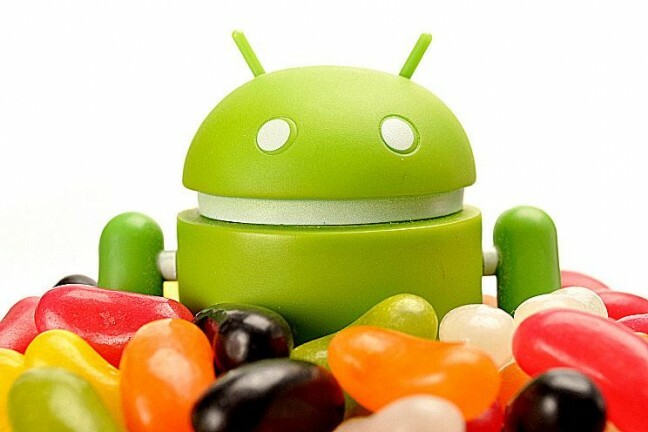 This model from Galaxy S Series runs with an updated Android OS, which is also known as Jelly Bean, the South Korean company putting his mark on his operating system, meaning that the south koreans had customized its devices and softwares for obtaining maximum efficiency and performance. Thus, compared to the previous version, S4 has some very nice modifications in design and menu, so it is more user friendly and more intuitive. Another improvement brought by this is related to the keyboard, it is now better adapted to the type of device we are talking and adjusted for easier and faster use, having on the top a row of numbers, so writing had became easier. The TouchWiz help him greatly, and anticipating the words after a brief analysis of buyers writting history, shorten even more time when buyers type in a message or a new document. For those who do not have experience in typing, it is possible to turn on even the Easy Mode that will help you and give suggestions for much simpler and faster use. In recent years South Korean company showed a continuous development of the applications and multimedia contents, thus the Samsung Galaxy S4 has Samsung Hub, which works like Google play, iTunes or Sony multimedia apps, being equivalent to those. Since the beginning of the Galaxy S series, the South Korean company has sold over 100 million copies, if some of them turn into audience for Samsung hub, it is likely to raise serious problems for Google. Normal would be that in the near future, the company to develop the multimedia features and to integrate them in its most devices. As we explained at the beginning, a very powerful review of this smartphone is difficult, because it has so many special and unique features and specs that is difficult to describe them all and organize them according to their usefulness and the novelty brought. It should be many listed in this chapter, such as Group play, Knox security options, etc.. The only criticism that can be brought to this very powerful smartphone is that it has plastic casing, which could convey the idea that the materials used are not from premium quality, but the advantage of using plastic is huge, considering that for any device the weight is a problem, and those from Samsung have solved the problem by using very light and flexible materials such as plastic, so Galaxy S4 is very easy and has a weight of only 130 grams. My guess is that this powerful smartphone should not miss from homes with buyers that are using its maximum specs and special features, but this amazing device is just too complex for games or social networks, S4 is designed for users who are using it to its full capacity, since it is capable of performing like a portable laptop. Its shape, design, the extraordinary performance of this powerfull device makes it suitable for many types of buyers and offers many advantages against its main competitors, having thus the chance to maintain its leading position in the market. If S3 was a very good smartphone in 2012 and very loved by tens of millions of customers, Samsung Galaxy S4 is much better, more amazing and it is highly performance that impresses both with hardware and software specs, apps and special features. This is the most powerful smartphone on the market today, and if you are interested, on this blog, you can find all the information you need.